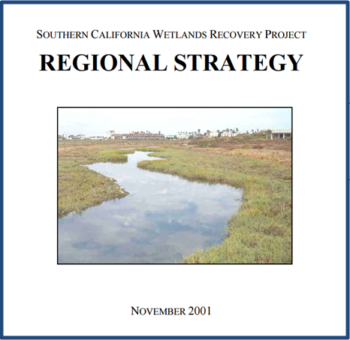 The Regional Strategy 2018 will guide wetland restoration for the WRP over the next few decades using scientifically-based, quantitative objectives that will improve wetland resilience to climate change and other stressors. These objectives will help guide all levels of stakeholders in the wetlands community from resource agencies to funders to restoration practitioners in designing projects, reviewing project proposals, and making funding decisions. To access the Regional Strategy 2018 and associated maps and tools, visit scwrp.databasin.org. The WRP’s Board of Governors adopted the original Regional Strategy in November 2001.